Back Bay Books, 9780316038409, 192pp. 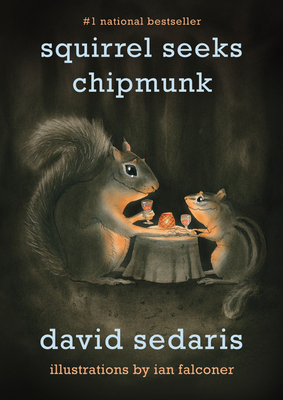 Featuring David Sedaris's unique blend of hilarity and heart, this new illustrated collection of animal-themed tales is an utter delight. Though the characters may not be human, the situations in these stories bear an uncanny resemblance to the insanity of everyday life. David Sedaris is a regular contributor to The New Yorker and Public Radio International's "This American Life." He is the author of the books When You Are Engulfed in Flames, Dress Your Family in Corduroy and Denim, Me Talk Pretty One Day, Naked, and Barrel Fever.